Book Direct & get the Best Price! 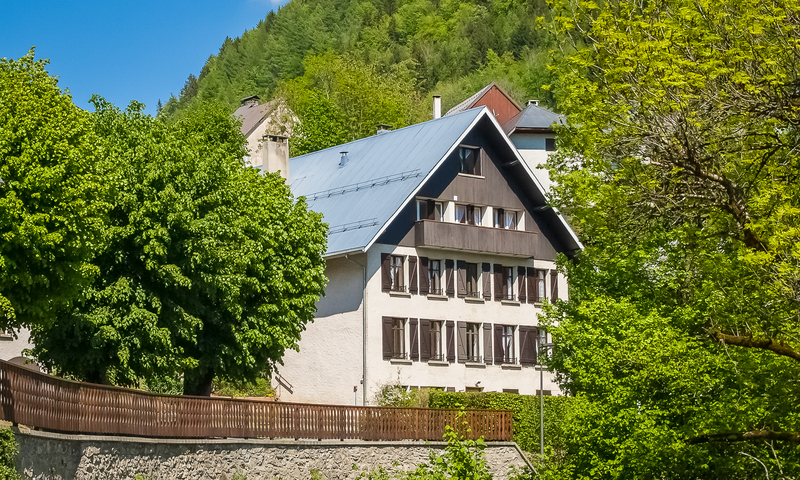 Set at the foot of the Grand Rousses near Alpe d’Huez in the heart of the Oisans region and the beautiful French Alps, Le Château d’Oz is owned and run by Andy and Gill. We love the mountains so much we came to live here. Over the years we have come to know the area well, and welcome sharing our passion for the region with new and returning guests on holiday. In winter you will enjoy a fully catered chalet holiday and see fresh snow and beautiful mountains from the windows. Feel the sun on your face and the clean, crisp air of the Alps. Stand on top of a mountain and gaze across France before carving down the groomed pistes to a mountain restaurant. You will love our delicious home-cooked food. We have carefully updated British, French and Italian classics for modern tastes and can cater for most special diets, just ask. You’ll enjoy our AOC quality house wines and you can also order from an interesting fine wine list. There is also a selection of whiskies and brandies. Most of all your accommodation is huge compared with most chalets. Our suites, all en-suite, typically consist of a bed/sitting room with a kitchen and a bathroom. They are all around 35m²/375sq feet, so you will be very comfortable. The skiing in Alpe d’Huez has great facilities for beginners and experts. We will guide you on the best places to go, depending on your experience and conditions. We often ski with our guests for a more personal holiday experience and because we love skiing. We’ll show you where the locals ski on empty slopes, even in the peak weeks. In Summer the mountains offer a chance to explore dramatic scenery on foot or by bike. On the roads, the famous Tour de France cols are waiting to be conquered. On the mountain itself, the mountain bike trails are signposts to adventure. Some are steep and some are long, but all will take your breath away with the dramatic landscapes. You will (probably) never score a goal at Wembley or serve an ace at Wimbledon but you can test yourself on the Glandon, Croix de Fer, and Galibier. They are right on our doorstep and waiting for you. The fearsome climb up the 21 bends to Alpe d’Huez is an easy 15 minutes away. There is a nice warm up on the way there. Marco Pantani did it in 37m 38s, though he wasn’t on holiday, how about you? Mountain bikers have one of the biggest areas of the Alps to explore with cross country trails open from June. The lifts run in July and August and give access to dramatic and challenging descents. There is also lots of relaxed cycling for families and days out touring. You can also watch events like the Tour de France, the Dauphiné and other cycle sportives. Walkers have Les Ecrins National Park, the Plateau d’Emparis and fantastic mountain scenery to explore. Several GR routes cross the area and there are great walks directly from the door. You can be in the wilderness in minutes. The mountain roads are a delight to drive and the views are well worth stopping for. How about a picnic or a nice lunch in a little chalet-restaurant lost in the high meadows of the Alps? Our apartment-suites are available for catered, half-board holidays, B&B and self-catering. They can be combined in any number to accommodate a single traveller, couples, families and groups of 16 in spacious comfort, 32 maximum.